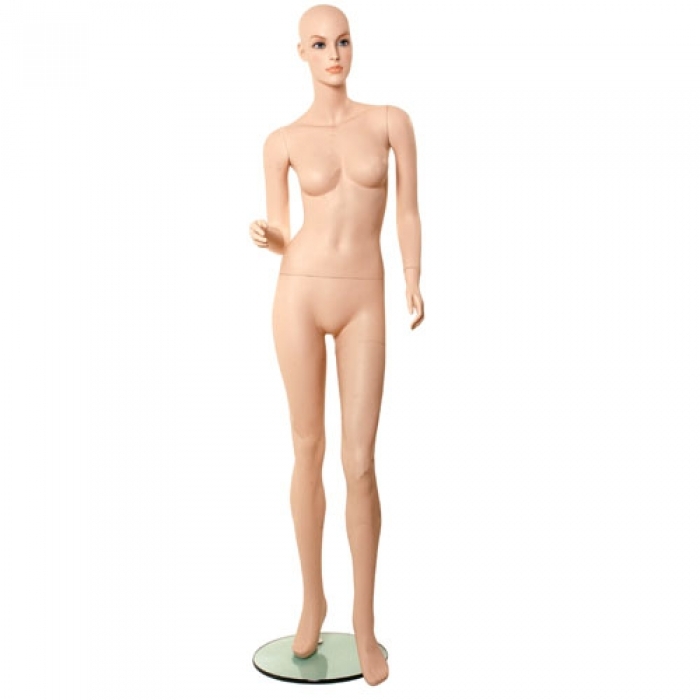 A stunning mannequin with full make-up in a natural pose. This standing model is supplied with a dual-purpose glass base with both calf and foot fittings for greater flexibility. Approximate UK size 10-12. Height 180cm (5ft 10in. ), Bust 83cm (32in), Waist 66cm (26in. ), Hips 88cm (35in). Produced from Fibreglass.